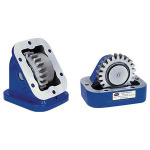 Adapter Gear Assemblies are normally used to reverse rotation of the PTO output shaft and to clear mounting obstructions. 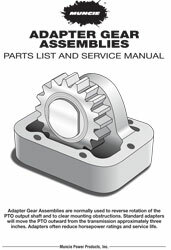 Standard adapters will move the PTO outward from the transmission approximately three inches. Adapters often reduce horsepower ratings and service life.